Apple Watch sales: Analysts raise and slash first year predictions - who is right? Apple isn't going to publish Apple Watch sales figures, which means it's the analysts' time to shine. This week, we've heard from two respected sources, KGI and Morgan Stanley, who have both revised the previous pre-launch consensus of 20 million - 30 million smartwatches sold in the first year of sales. Here's the fun part. KGI has moved its estimate down to 15 million Apple Watch devices sold in the first year based on slowing demand now that the initial first week rush is over. And Morgan Stanley has actually moved its estimate up to 36 million based on the number of people who told its wearables survey that they will definitely buy an Apple Watch in the next 12 months. As 9to5mac reports, KGI - who is responsible for those 2.3 million first week sales estimates, points to shipment times as its evidence of slowing demand. Just after the launch, shipment times dropped to June but if you're ordering now, for instance an Apple Watch Sport has a shipping time of 3 - 5 weeks. Plus Tim Cook has said recently that the Apple Watch should be available to buy in stores in June. It's the Taptic Engine which has slowed Apple Watch production and delivery times. Since this hasn't picked up yet, it's reasonable to believe that demand was higher around the launch. 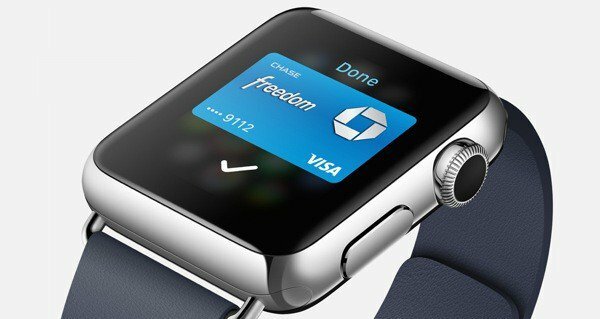 Still, the extra six million Apple Watch sales, which Morgan Stanley predicts should all come between December 2015 and March 2016. It's unlikely we will see an Apple Watch 2 reveal before next March or April - Apple doesn't want to annoy early adopters of its first wearable. This means that just as iPad sales increased massively in its second year on sale, the Apple Watch could be a slow burner when compared to the iPhone. Even if Apple manages to sell 'just' 15 million or 20 million smartwatches by March 2016, that will still be enough to ensure it essentially is the smartwatch market. With those kind of figures, people won't ask if you have a smartwatch, they will ask if you have an Apple Watch. Pebble sold 100,000 of its two new smartwatches for 2015, after 1 million sales in two years of the first two models. We don't have up-to-date figures for Android Wear but we do know that an estimated 720,000 smartwatches were sold in the last six months of 2014. That's crazy considering that total includes a Samsung device, the Gear Live, and the Moto 360. Early reviews, including Wareable's definitive verdict, have suggested there is lots of work to do before the Watch can kill off its smartwatch rivals. It will keep improving throughout the year which should boost sales. We have already been treated to some fitness fixes and tweaks in 1.0.1 and we expect to see more new features announced at WWDC. Plus big apps are still trickling through - not everyone was ready for launch despite Apple's efforts.